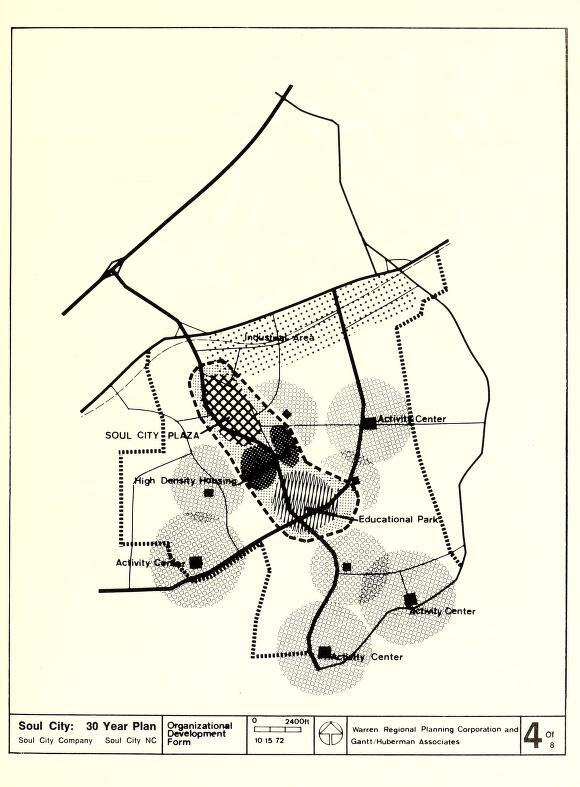 In the late 1960s, a civil rights leader named Floyd B. McKissick, at one time the head of CORE (the Congress on Racial Equality) proposed an idea for a new town. He would call this town Soul City and it would be a place built for and by black people—a land of black opportunity in rural North Carolina. 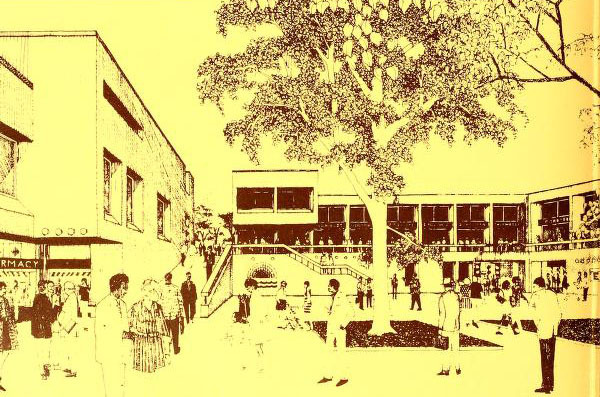 McKissick imagined that Soul City would attract black families wanting to get out of northern ghettos. McKissick’s new city would offer blacks a thriving community with robust employment opportunities. 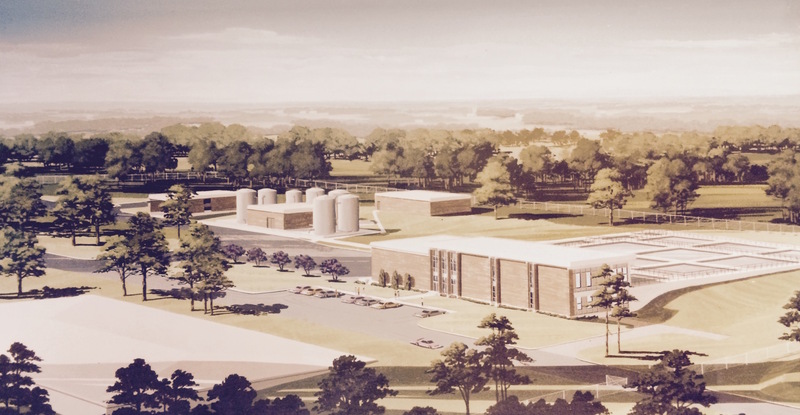 It just so happened that McKissick’s idea lined up with some national momentum on new-town building. In the 1960s, the country was in the midst of a so-called “urban crisis.” Traffic, pollution and crime were up in cities across the country. White people were fleeing urban centers for the suburbs (thanks to federal help with mortgages and new freeway development), in a process would come to be known as white flight. Meanwhile, urban black populations unable to leave, were dealing with housing discrimination and police brutality. Riots were breaking out in cities all over the country. Because of this urban crisis, the federal government had announced plans to help finance several brand new cities, and McKissick aimed to make Soul City one of the sponsored developments. 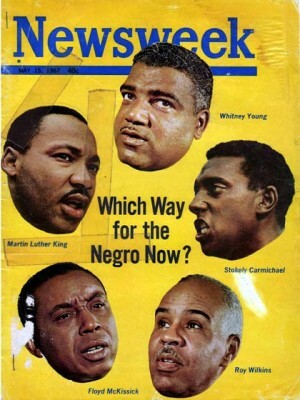 Newsweek cover from 1967 featuring the five most significant civil rights leaders. Floyd McKissick is bottom left. Floyd McKissick was a lawyer who tried a number of important integration cases in the 50s and 60s. He marched with Martin Luther King, Jr., worked alongside Roy Wilkins of the NAACP (National Association for the Advancement of Colored People) and protested in the company of Stokely Carmichael of SNCC (Student Nonviolent Coordinating Committee). Because of McKissick and others, the civil rights movement made significant gains in the 1950s and 1960s. But in 1966 Floyd McKissick and Stokely Carmichael decided that the civil rights movement hadn’t gone far enough. When Carmichael began calling for black power in the wake of a white-on-black shooting in Mississippi in 1966, McKissick joined his rallying cry, and the black power movement was born. The goal of the movement was to go a step beyond civil rights and integration—the goal was for black people to take control of the communities where they had a majority. 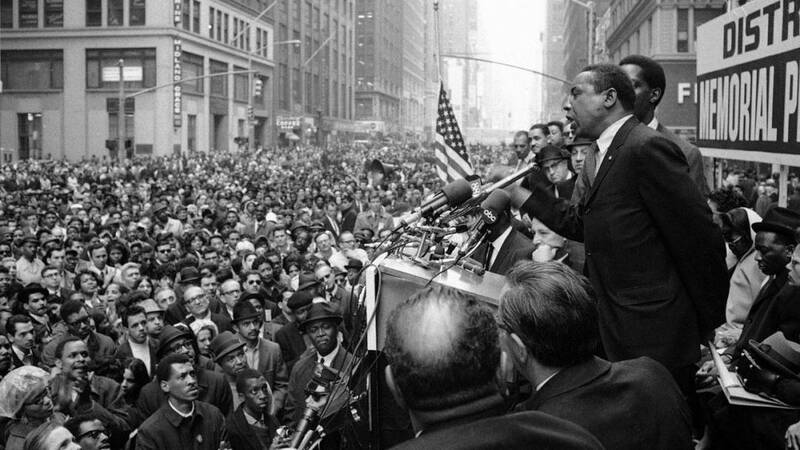 McKissick addresses a crowd after the assassination of Martin Luther King Jr.
By 1968 Carmichael and McKissick had begun to diverge about how to achieve black power. For Carmichael, capitalism was exploitative and part of the problem. 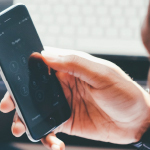 For McKissick, capitalism could be part of the solution, with black-owned businesses paving the way for equality, freedom and justice. Ultimately, Carmichael would leave the American black power movement and head to Africa, joining the All-African People’s Revolutionary Party. Meanwhile, McKissick stayed in the states, resigned from CORE, and founded McKissick Enterprises. His hope was to achieve black power by building an all black city. 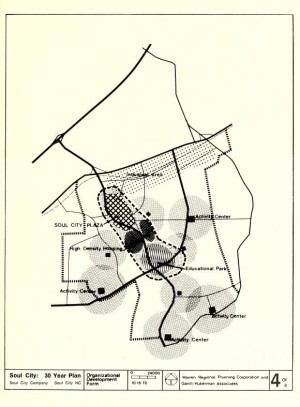 In the late in 1960s, when the US Department of Housing and Urban Development (HUD) proposed a process for financing new towns built by private developers, McKissick saw his chance to build Soul City. As McKissick began to talk with people at HUD, he realized that the government was not going to support a separatist community, so he was forced to dial back the language he had initially used to describe Soul City. Instead of talking about it as an ideal black community, he began to promote it as a community for all races. McKissick understood that to secure approval to build one of these new cities, he would need friends in high places. In 1968, he examined the field of presidential candidates and opted to support Richard Nixon who, in turn, supported the Soul City project. The two unlikely allies shared a belief in capitalism. Additionally, Nixon and Republican Party were trying hard to win over black voters. In the end, possibly thanks to the support of Nixon, Soul City would become one of 13 new towns to be backed by HUD. Notably, it would be the only free-standing town (not built directly next to an adjacent city it could lean on for infrastructure or employment options). 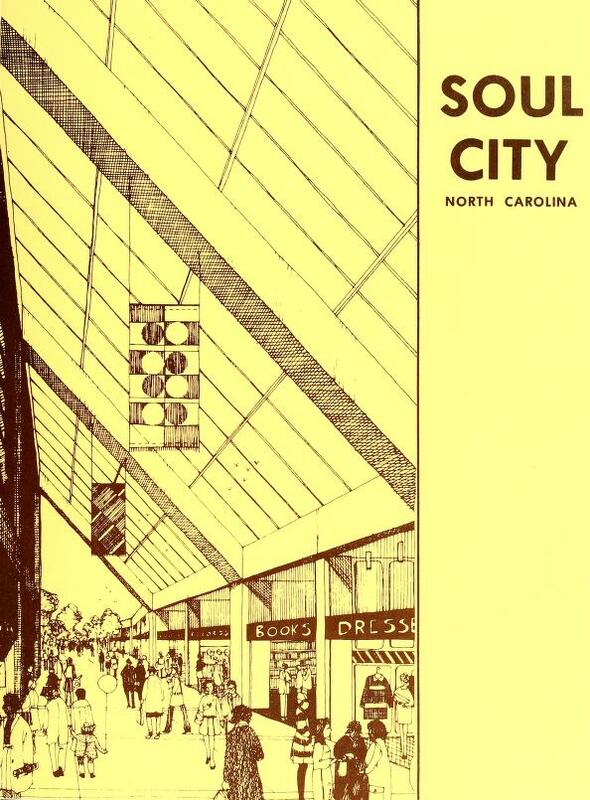 Soul city was to be built on an old tobacco plantation in rural Warren County, NC. 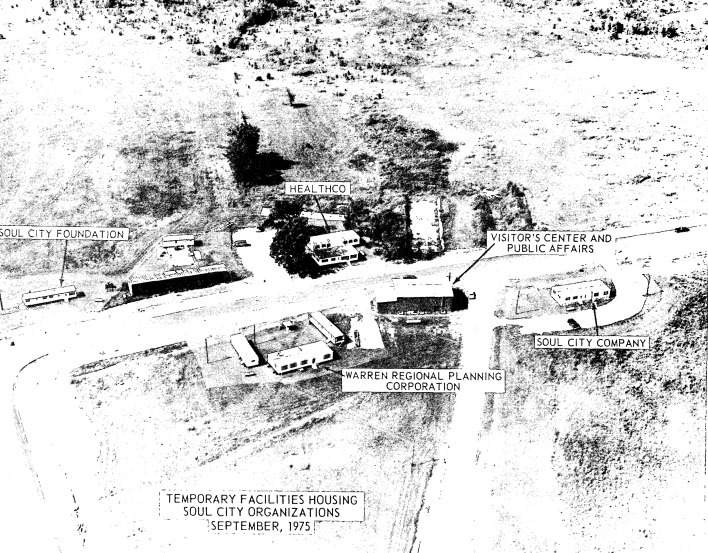 The first residents of Soul City (who arrived in the early 70s) lived in trailers on freshly-cleared land. Soul City had developed a 30 year plan which laid out exactly how the city would grow, starting with three residential villages which offering mixed-income housing. The design was inspired in part by the planned community of Columbia, Maryland, which was meant to have racial diversity and a small town-feel. 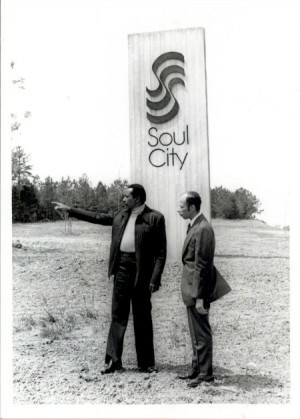 Soul City had acquired 3,600 acres of land and hoped to have a population of about 2,000 people by 1978, and then, by the end of 30 years, be up to around 40,000 people. 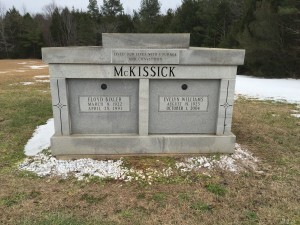 McKissick had decided on Warren County in part because he had grown up in North Carolina, but also because blacks had left the south in droves during the great migration. McKissick wanted to give urban blacks a place in the south to return to if they wanted, and give people who were already there a reason to stay. 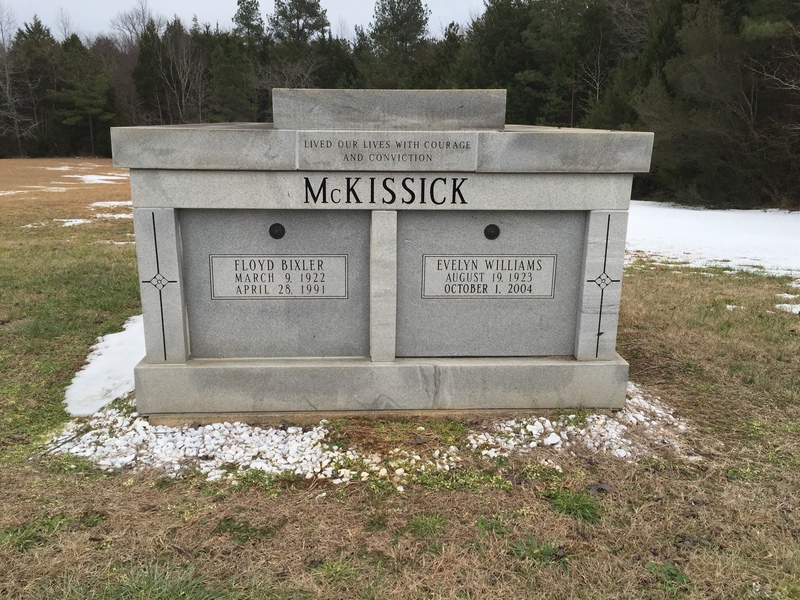 Attracting industry was essential to creating jobs in McKissick’s city. Ideally, a big company would build a factory, but before that could happen, Soul City needed basic infrastructure, including water and power. An electrical grid was built and a huge regional water system developed, tapping into a nearby lake. Workers built roads, a public pool, and health clinic. 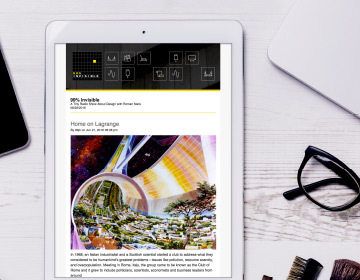 The biggest structure was a 60,000-square-foot industrial building, divided into sections, called Soul Tech One—it was designed to be an incubator for new industry. Despite this growth, Soul City was not hitting population targets. By 1978 it had less than 200 residents. A few manufacturers set up shop in the Soul Tech building, but no one that could create a significant number of jobs. Without industry, it was hard to attract new residents. Without new people, it was hard to attract industry. The economy was also not faring well and McKissick’s political ally, President Nixon, had resigned in disgrace. Some also blamed the name of the place. 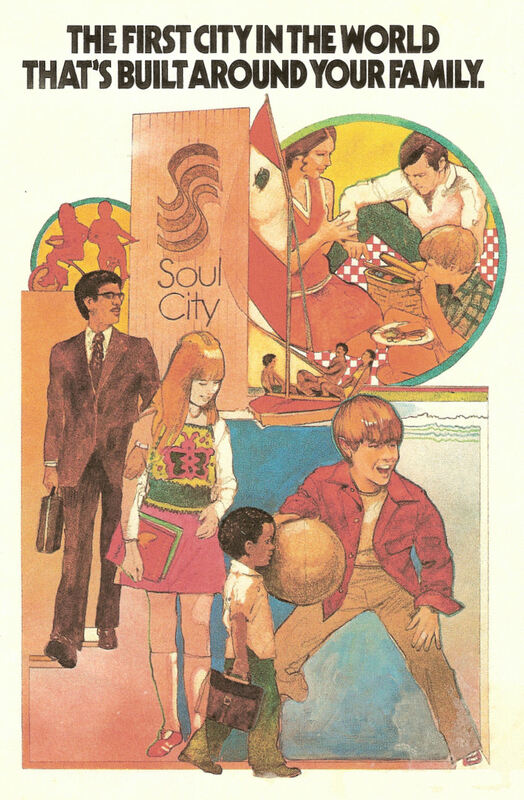 Despite being open to all races, many continued to see “Soul City”as an all-black project. In the midst of all of this, an area newspaper (the Raleigh News and Observer) launched a five part expose accusing Soul City of all kinds of wrong-doing, from political payoffs and cronyism to nepotism and financial misappropriation. With this expose as rationale, Senator Jesse Helms (known for being a not-so-secret racist) subjected the project to a financial audit, which caused HUD to freeze funding. While a review eventually cleared Soul City of significant wrongdoing, the damage was done. The negative publicity had slowed the city’s momentum and scared away potential industry and investors. In 1979 HUD announced that they would no longer support Soul City. 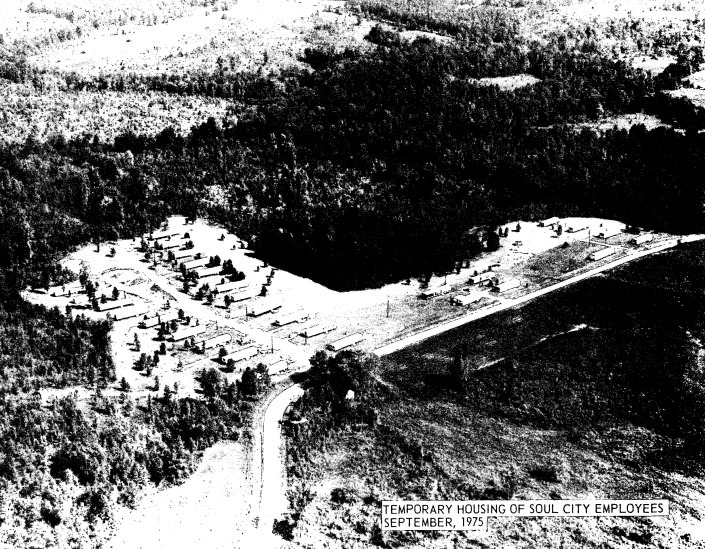 Without the government’s support, McKissick was forced into foreclosure, and most of the land at Soul City was sold off. Of the 13 towns developed as part of the Urban Growth and New Communities Act (AKA the National Urban Policy and New Community Development Act of 1970), Soul City was not the only one to fail. Indeed, only one of them actually thrived—a place called The Woodlands, Texas. The Woodlands may have benefited from being on the outskirts of Houston during an oil boom in the 1970s. The other twelve towns failed entirely, meaning: people might still live there, but they remain unincorporated, or were absorbed as neighborhoods and suburbs by adjacent cities. Most of the failed towns (including Soul City) cited a lack of investment as a major factor in their failure. 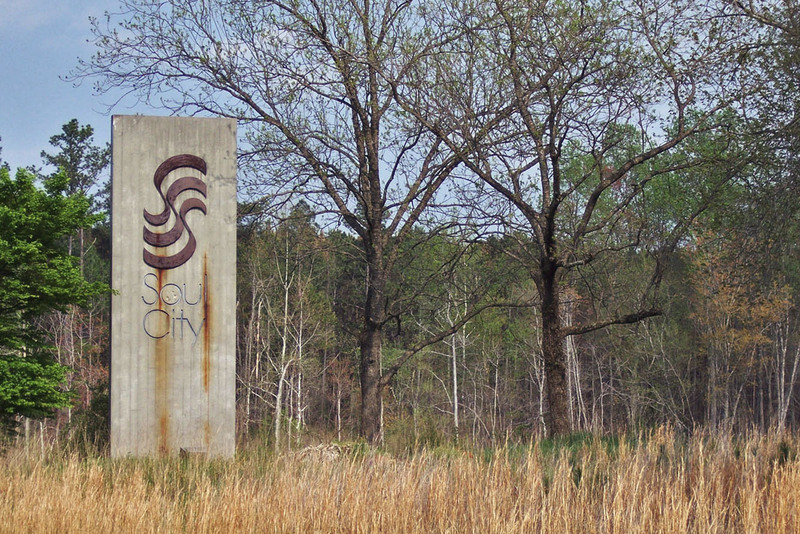 Today, visitors can still see the beginnings of Soul City in remnant infrastructure and architecture, but the area feels mostly rural with ponds, woods, clusters of houses and some abandoned buildings. One building, however, stands out. Constructed after the Soul City project failed, The Warren County Correctional Facility is a high security prison designed to house about 800 inmates. It was built in 1993. Next door to the prison, in the building that used to be Soul Tech One, is now Correction Enterprises. There, prison laborers make janitorial products like soap and earn a few dollars a day. All of this on the former slave plantation that Floyd McKissick tried to transform into a place for black people succeed. 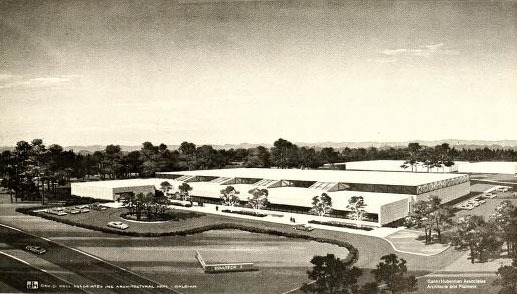 Floyd B. McKissick passed away in 1991, so he did not live to see the prison get built. Before he died, he served as a judge in North Carolina and as a pastor at the First Baptist Church of Soul City. Floyd McKissick’s name remains unfamiliar to many despite having been considered a major leader in both civil rights and black power. Still, McKissick is fairly well-known and loved in North Carolina and Soul City has had far-reaching impacts on the state. McKissick and Soul City influenced numerous people who would go on to start non-profits, hold public office or become community leaders. 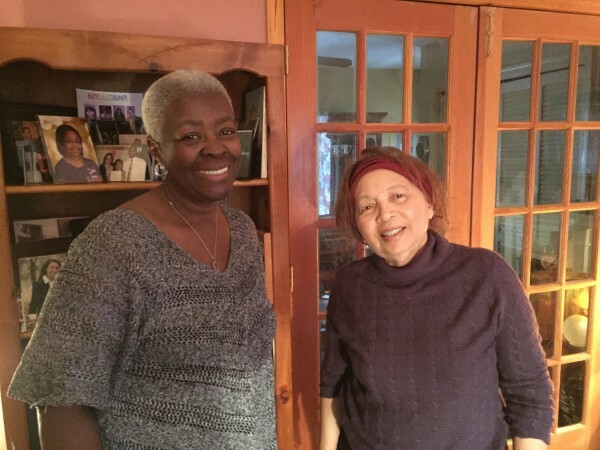 Doris Terry Williams (left) and Jane Ball Groom (right) were both part of the original Soul City project. Jane still lives in her house in Soul City. And people still live on the land that was Soul City, making use of the water and electrical systems that were built as part of the project, driving on its roads and living in its houses. Producer Katie Mingle spoke with Roger Biles, professor of history at Illinois State University; Jane Ball-Groom, assistant to McKissick; Floyd McKissick, Jr., state senator and lawyer in Durham, North Carolina; Sundiata Cha Jua, Professor of History and African-American Studies at the University of Illinois Urbana-Champaign; Devin Fergus, Professor of African-American Studies at Ohio State University; and Doris Terry Williams, former resident of Soul City. The archival tape you heard (in the podcast) of Floyd McKissick came from the Southern Oral History Program Collection at the University of North Carolina, Chapel Hill. 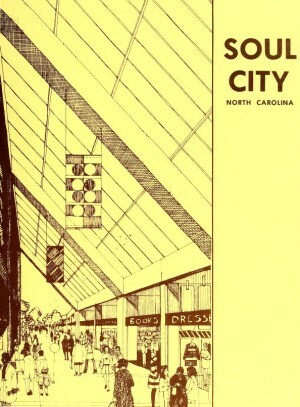 Maps and diagrams via Soul City, North Carolina (by Soul City Company; McKissick, Floyd B. (Floyd Bixler), 1922-1991; Floyd B. McKissick Enterprises; Published 1974) and Wikipedia (public domain) unless otherwise noted. That is a direct quote from an interviewee. If you listen to the context added around it, the reality is more nuanced, which is made clear in the story. 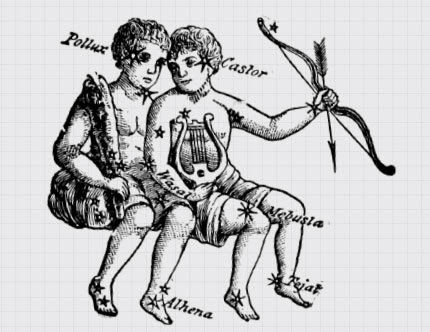 Most of the accusations, as pointed out subsequently, were indeed found to be baseless. The GAO document was researched in making this story. 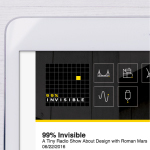 99pi you’re still mistaken. I spend a great deal of my childhood in Soul City because my best friend’s Dad was Gordon Carey of CARE who was on the Board of Directors. I was young, but I was entrenched in all the news and happenings of the time. This story leaves out a number of very important details that, to be fair, are probably hard to ascertain from the public record. While The Woodlands has been a success by almost any measure, it has always been, and remains today, an unincorporated area of Montgomery County. I think its unfair to characterize Helms as just a Republican. As a Democrat myself I’m embarrassed to admit it, but Helms was a Democrat until 1970. Is this more a story about not letting capitalism actually happen? If the government was heavy handed in planning this community is it any wonder that it did fail? There are plenty examples of black communities that thrive in the south that happened organically, maybe do a show on one of these communities. Loved the podcast; however, the unbalanced sound hurt my ears. The recording of some of those interviewed was very loud and grating. I had to turn down the volume, but then the narrators’ could not be heard. I took a job in Warren County in 1972 as a young social worker. Having moved there from Raleigh I found the area highly rural with only a couple small communities, Norlina where I lived and Warrenton where I worked. Early on I visited Soul City to see McKissick’s vision begin. It was sparse then, as the official groundbreaking was over a year away. Still, there were people there beginning the project. I was greeted warmly. I never met any white local residents with enthusiasm for the project. I do believe that the name implied Black separatism, which impacted negatively. Shifting political winds predictably ended the effort. A few years back I drove through the Norlina area and found it even more depressed and barren than in the early seventies. The county surely and desperately could have used the economic development. The prison is a cruel, cruel irony. One county resident I met in 1972 sincerely questioned whether the plantation had ever had any slaves. I wonder if in the future they will question whether this latest embodiment of incarceration ever existed?